to Call Me 941-928-0124 Monday -Friday anytime AFTER 1pm EST. ANSWER: Because the OMI is a cheap and usually ineffective device and the iMRS 2000, BEMER and QRS are FAR superior, much better researched and have been proven for over 20 years. It is like comparing a BMW, MERCEDES or Audi to a Hyundai or Mitsubishi. Just NOT THE SAME LEVEL of QUALITY (or Results)!! DON'T SETTLE FOR CHEAP... Get results with a proven Brand like the iMRS 2000, BEMER or QRS! The OMI has good MARKETERS with sketchy comparisons and reviews, but the bottom line is the product itself is cheap and not effective. Don't be fooled by marketing, stick with Science and proven results!! 7) The OMI has No Biofeedback - The iMRS 2000 offers a biofeedback finger sensor to achieve a CUSTOM TAILORED THERAPY, signaling the user’s HRV (heart rate variability). 10) Note that the inexpensive OMI offers ONLY a full body mat. Adding additional applicators, the buyer ends up spending close to $2000.00. iMRS 2000 local applicators are FAR superior to OMI pad and ring. The probe and pillow are much more powerful in penetrating the body. Example Case (w/Calculations) - OMI Pad vs IMRS 2000 Pillow pad. To Illustrate the Bio Savart Law Lets Use the OMI and IMRS 2000 PIllow as an example, as it VERY DRAMATICALLY shows the difference in intensity above the surface depends LARGELY on the radius of the coils. Below right is a picture of both imrs and OMI coils from dissecting the respective mats. The OMI uses cheap thin copper but we'll ignore that for now. The OMI PAD intensity is rated at 15-20 uT at the surface. If we use the 100 intensity on iMRS 2000 pillow, we can duplicate the surface intensity of the OMI. 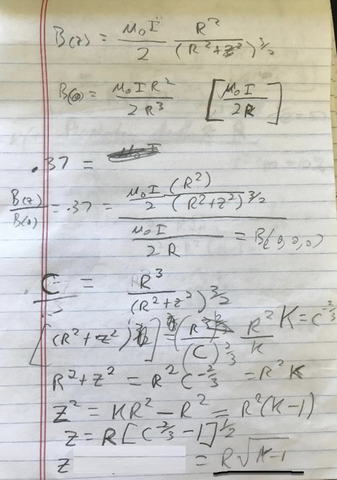 ​Using the Biot Savart Law to find the distance Z above the mat a given dropoff percentage is reached we arrive at the equation Z = R√(K-1) where K = C^(-2/3). C is percentage of dropoff. So in table below it is the first column. Note: You can also solve for R, but calculations easier solving for Z. 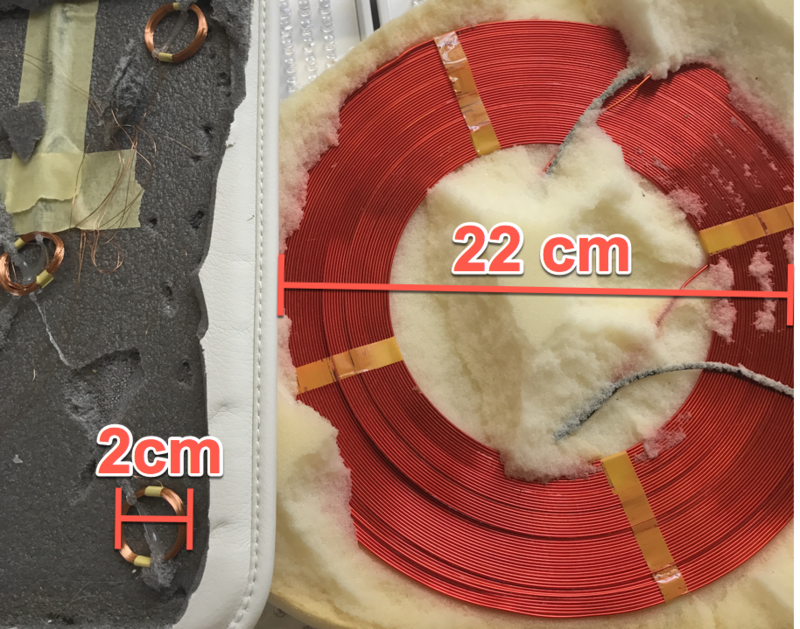 The iMRS Pillow pad coil is 22cm compared to the cheap tiny OMI coils that are only 2cm. So the Radius is 11cm compared to 1 cm. What this means using the correct equation for magnetic field dropoff, is that EVEN if you start the iMRS 2000 pillow and OMI at the SAME intensity, the IMRS 2000 will be 11 times stronger than the OMI at a distance Z above the axis along the center of the coil. The reason for this is you need a STRONGER current in a larger diameter coil than a smaller diameter coil to produce the same intensity in the center. How much stronger? Well it is proportional to the Radius! Magnetic Flux like electric flux is a scalar quantity, and in the magnetic case it has a special name - "WEBERS", which is abbreviated Wb and which has units T* m^2 (magnetic field times area). 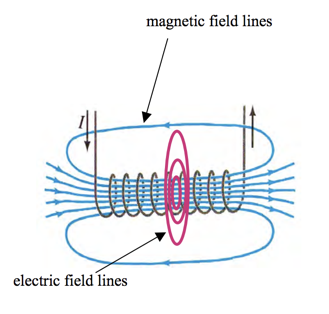 In PEMF therapy, the Magnetic Flux HEAVILY depends on the area of the Coil. You have to integrate the magnetic field OVER THE ENTIRE AREA. Therefore larger coils have and exponentially LARGER flux as you increase the radius than smaller coils. Why because Area = pi*r^2. If you double the radius, the flux increases 4-fold. Quadruple the radius and it increases 16-fold. In this image shown, the OMI pad has small little coils. The iMRS pillow applicator has coils that are 11x longer in radius. Therefore EVEN WITH THE SAME INTENSITY AT THE SURFACE, the Magnetic FLUX in webers of the iMRS 2000 is 121 times LARGER!!! ​Lets use 20 uT (.00002 Tesla) which is reported intensity on the OMI pad. The iMRS 2000 on level 100 has about this intensity at the surface. The magnetic flux of the OMI Pad is therefore .00002 Tesla*.02^2*pi = .0063 uWb (Tesla*m^2). THE iMRS 2000 COILS ARE 121 TIMES STRONGER FLUX than OMI COILS! Do you see how it is so easy to mislead with intensity ALONE??!! Don't settle for cheap devices with small coils and subpar electronics. ***Work in Progress Below...Check back later when detailed review done. As you carry the Fourier series out to infinity you get an ideal squarewave, but that is an engineering impossibility. The best you can do in practice is to create a GOOD approximation by expanding the series out as far as possible. Using the first four expansions gives a VERY good approximation. I did a signal analysis on the OMI and it appeared to be a very crude fourier series creating a CRUDE squarewave (perhaps only first two interations the bare minimum to even qualify as the first term is a sine wave. Cheaper PEMF devices like the OMI use maybe two expansions and the quality of the signal is POOR because of thin copper wires and poor wiring. Image below shows a squarewave created from the first four terms of the fourier seriers needed to generate a squarewave. The more terms you use, the better, but there are engineering limits. Harmonics... Using More Terms and properly wound coils gives you MORE harmonics and a broader frequency range. The Importance of Larger Coils to Get a PURE B field.